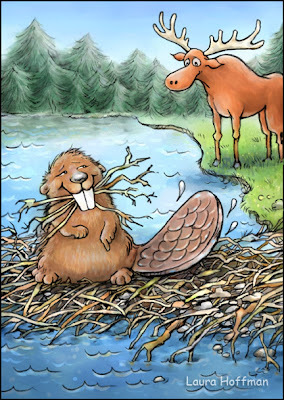 One of the characters I came up with for the Moose project was The Beaver. 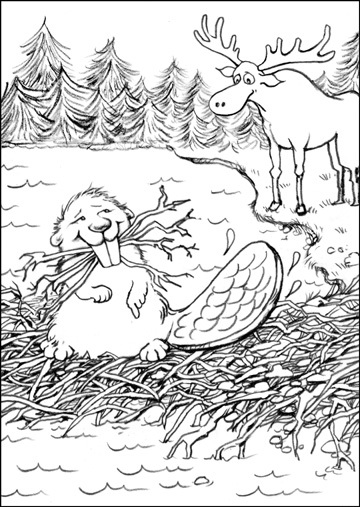 In the story, the moose comes across a beaver, who ends up being of no help to the moose as he tries to find friends along his journey. 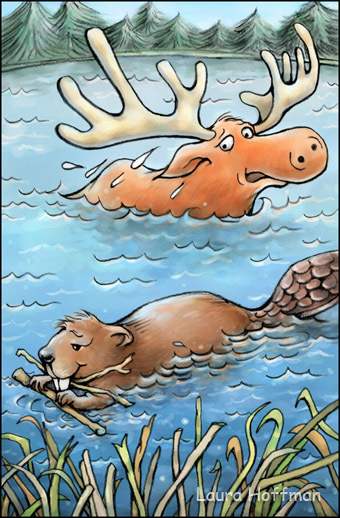 since the moose is no use to him. 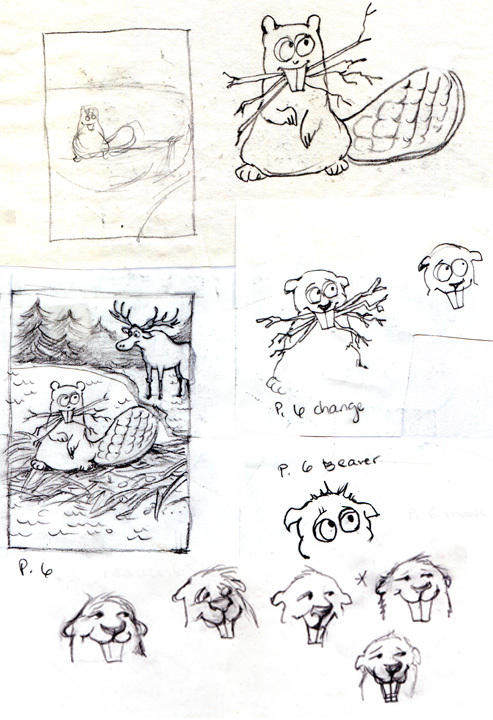 I found that when designing and drawing a character, the slightest nuance or gesture matter; an arched eyebrow, a sidelong glance or a tilt of the head can dramatically affect the character's expression and role in a story. Here, the beaver cares more about his business than about the moose as they go off in different directions. The sticks were fun to paint! The beaver was really my favorite character, although the bug-eyed bird was a close second (see last post about The Moose Project).